Today I will be reviewing a half pad I won through ThinLine Canada’s giveaway. I received their ThinLine Basic Trimmed Standard Saddle Pad, which Taz and I have been riding in for a few weeks now. I want to thank ThinLine Canada once again for giving me the opportunity to win such a high quality half pad! Be sure to follow their Instagram page for upcoming giveaways and announcements. Firstly, I had precautions with this saddle pad, because it is very thin and light. As you can see in the photos, its hardly visible! Nonetheless, this half pad is made up of high quality materials that you can just simply hose off, which is great cause Taz sweats like there is no tomorrow! Although it’s very thin, you can tell it has substance to it. Taz was very happy trotting, cantering, and popping over a few fences. The only thing I wish was slightly different is the structure of the pad. I found it curls around the back of the saddle sometimes, if you don't find the sweet spot. If they also had incorporated a wither relief structure into the design it would have improved the overall fit. It doesn’t bother Taz because he doesn’t have super high withers, but it would be nice to see a little more formation. 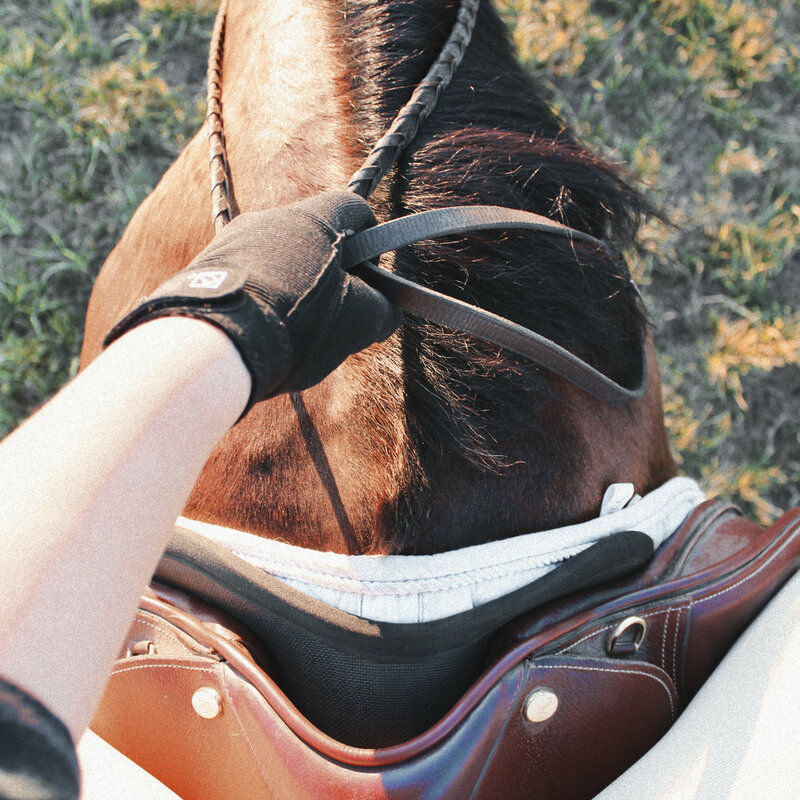 All in all, I love how this pad keeps you and your saddle in place and comforts my horse throughout the ride. I noticed my saddle didn’t wiggle nearly as much through all the gaits! Their non-slip shock absorbing technology was visible and I so pleased with the results.